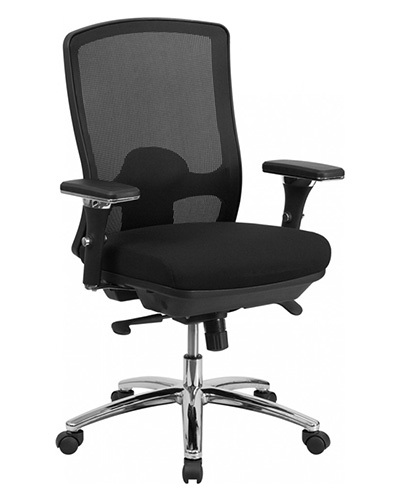 Big and tall task chairs are also known as computer, desk, or work chairs. They often involve more mobile and adjustable arms, that also tend to be smaller. 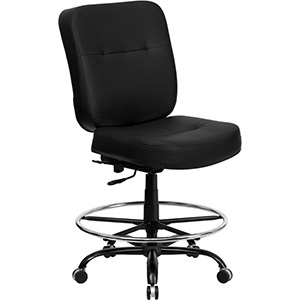 They are a more budget friendly chair for workstations and desks. Drafting stools have a much higher height range than normal chairs, and are best for taller desks, tables, and bar height work stations. 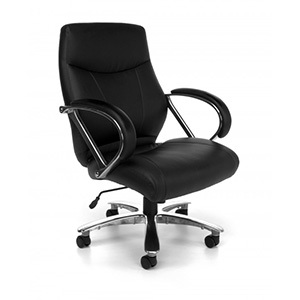 They usually feature and adjustable foot ring, and offer similar features to task and executive chairs. As always, there is usually going to be some trade off amongst these priorities. Sometimes the most comfortable, high quality chair has a style that is simply not to your taste, or is too expensive. By putting comfort and quality/durability at the top of your priority list, you avoid sitting in an uncomfortable chair every day or having to buy a replacement in no time. We highly recommend this list of priority in order to have a long term satisfaction with your chair. Taking price into account when shopping chairs matters; especially big and tall chairs. In regards to office furniture, “you get what you pay for” is a rule to live by. As a rule with any furniture retailers, going with the cheapest chair you can find should be avoided at all costs. Your chair should be thought of as an investment. A good chair will be comfortable and last for years, while we’ve seen customers replacing poor quality chairs over and over. In the end, a high quality chair will save you money from buying replacements. Plenty of non-branded chairs come with warranties, and are lower on the price spectrum because you are only paying for the materials, not the marketing. Often times they are even manufactured in the same factory as the brand-name. The most important thing to look for is that it comes with a warranty. The best way to support a claim of a high quality product is by offering a high quality warranty. We usually recommend at least 1 year, but 2 years is ideal. If your chair is going to have a quality issue, it will be within that time frame. 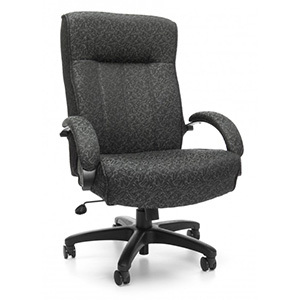 Like we’ve said, big and tall chairs for your office are an investment. Buying one from a large retailer like Target, Office Depot, Walmart, etc. is a good way to get a low quality chair from a company that has little specific experience with furniture. If you do run into an issue, they’re not likely to know how to help you. These companies usually stock the cheapest quality chairs they can find; but at least they look good. Shopping with any specialized furniture retailer - even it’s not us - is always going to get you a better experience. Just stay away from Big Box. Like fitting a shoe or installing new furniture, you need to make sure it fits. Measure your work area, and yourself to make sure the product you want is a good match. We include detailed chair measurements for each product, so you can be sure you know what you’re getting. Seat Height: Will you be high enough to reach your work surface? Will you feet be comfortable, or meet the footrest if it’s a drafting stool?